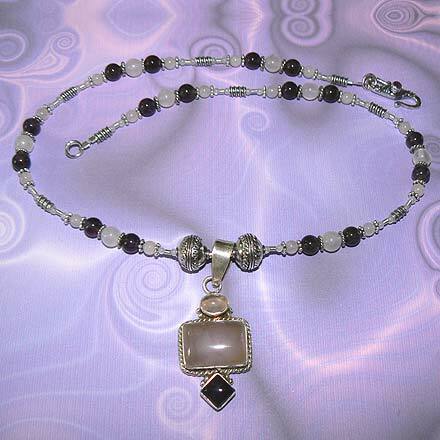 Sterling Silver Rose Quartz and Amethyst Necklace. See Closeup. 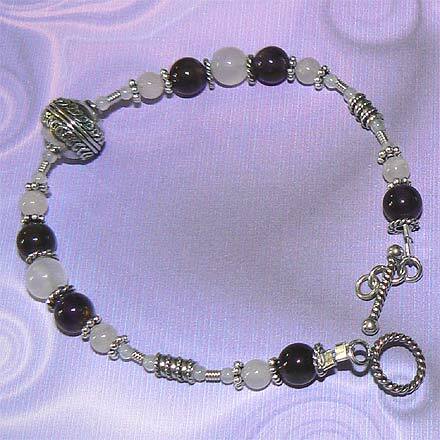 Sterling Silver Rose Quartz and Amethyst Bracelet. 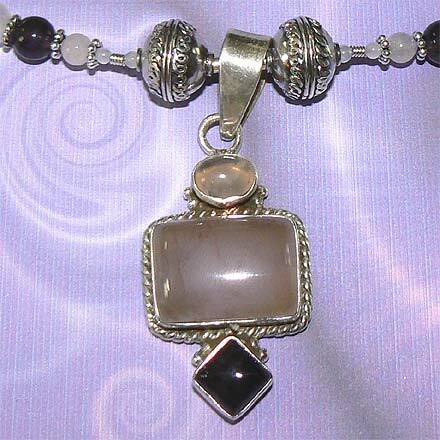 A sweet little double-Rose Quartz pendant with a bonus Amethyst (2" long) hangs from an 18.7" necklace with an Amethyst clasp. The matching bracelet is 7¼". For those who are interested in Astrological significances of stones, Quartz corresponds with Taurus and Amethyst corresponds with Pisces and the month of February.